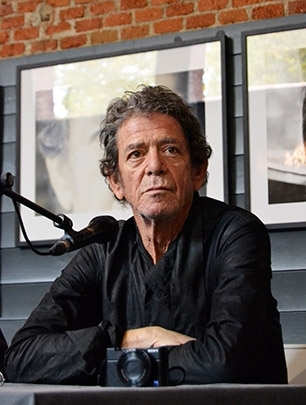 Lou Reed is recovering after receiving a liver transplant last month, the Guardian reports. 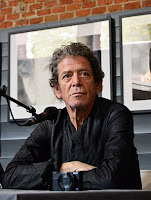 Reed's wife, musician and performance artist Laurie Anderson, recently spoke about his recent health troubles in an interview with the Times of London, saying, "It's as serious as it gets. He was dying. You don't get it for fun." The 71-year-old former Velvet Underground frontman had been due to play at Coachella in April, but had cancelled the dates along with a few other performances in California. At the time of the cancellation in March, the only explanation given by one of the venues was "unavoidable complications." "I don't think he'll ever totally recover from this, but he'll certainly be back to doing [things] in a few months," Anderson told the Times. "He's already working and doing t'ai chi. I'm very happy. It's a new life for him." Anderson said that Reed had the surgery at the Cleveland Clinic in Ohio instead of his New York hometown because of the "dysfunctional" state of hospitals in New York.